Everyone is welcome, join us today! 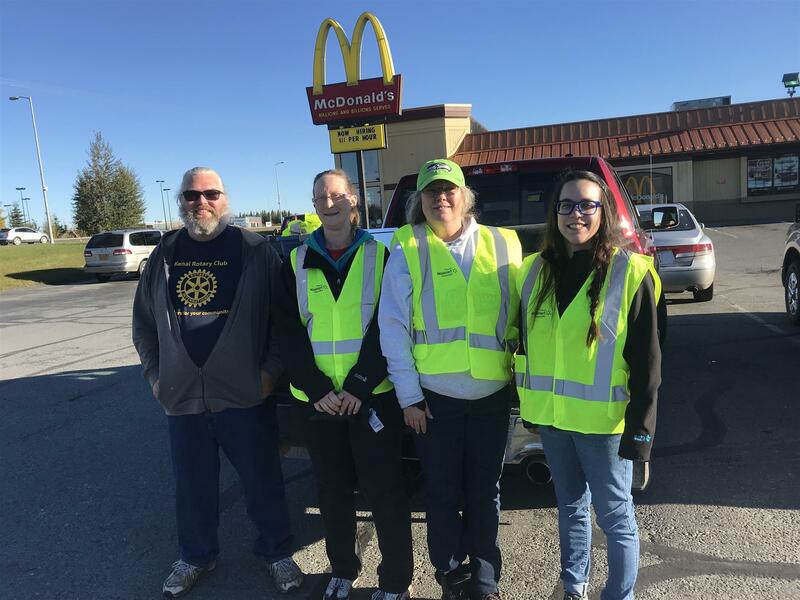 A big thank you to the Walmart crew who came out to help our group during our fall clean up! 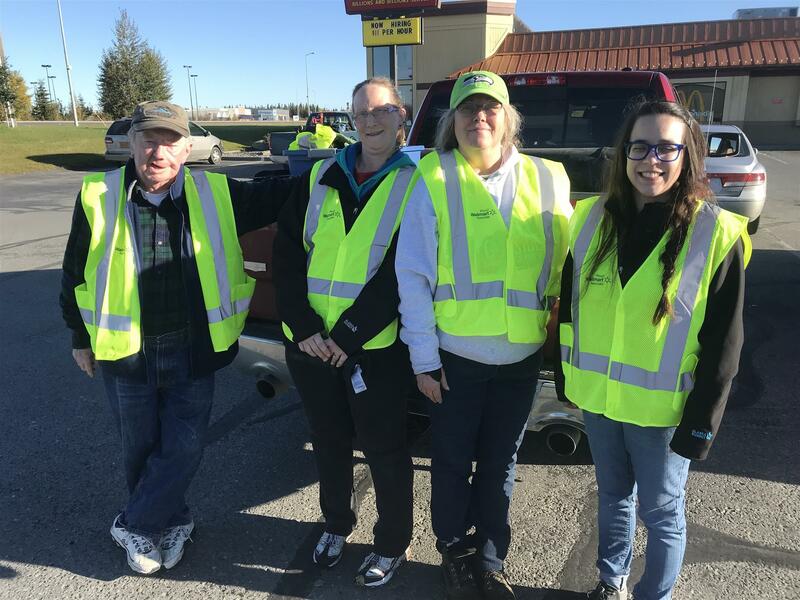 We filled four trash bags just from our adopted section of the Kenai Spur Highway. Please make note: Soapbox 2019 is rapidly approaching! May 12, 2019 will be here soon! Hope you are thinking about some great sponsorships for our event. 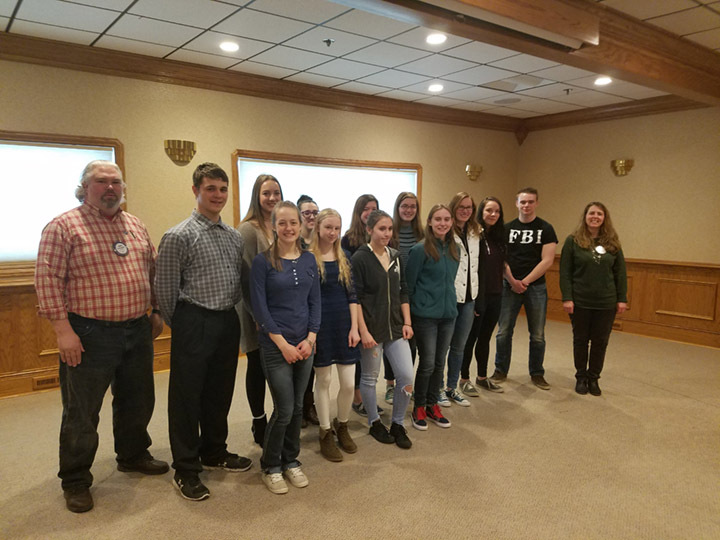 The 2017 and 2018 Student of the Month Recipients from both Nikiski High School and Kenai Central High School presented to us at a luncheon in their honor. We are happy to highlight these bright students who are doing great things for our community. All students of the month with future Rotary club of Kenai President, David and Youth Director, Meg. Check out the Kenai Rotary Club on Facebook! Rotary is an international organization of service clubs known as Rotary Clubs located all over the world. The purpose of Rotary is to bring together business and professional leaders to provide humanitarian service, encourage high ethical standards in all vocations, and help build goodwill and peace in the world. Rotary open to all persons regardless of race, color, creed, gender, or political preference. There are 33,976 clubs and over 1.22 million members worldwide!